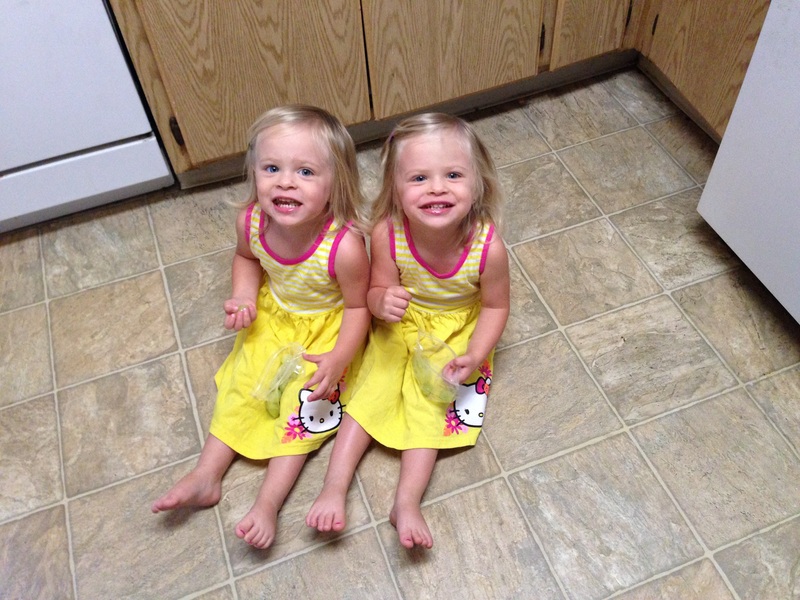 When I was expecting twins I had this irrational, borderline-obsessive fear that I wouldn’t be able to tell them apart. 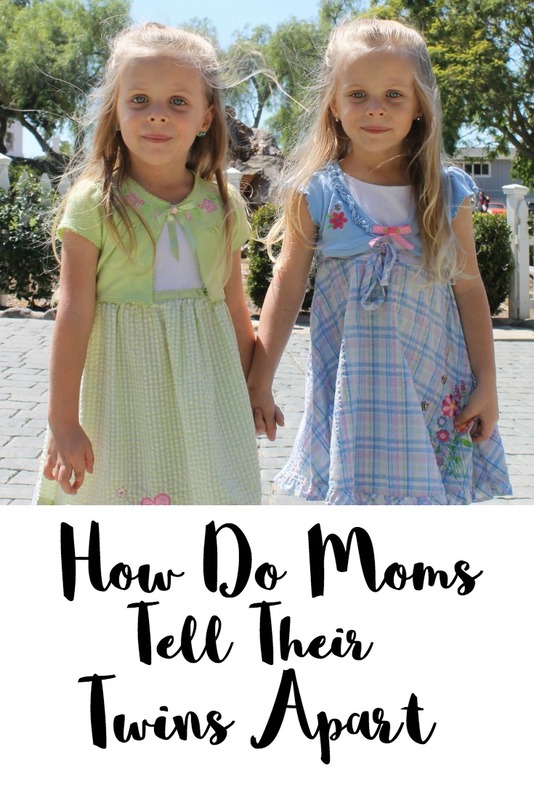 I took note of every tip and trick used by parents of multiples: painting toenails different colors, making a mark on their foot, colored teething necklaces… By the time they arrived I was fully prepared to be a clueless mother who couldn’t even tell her own twins apart. Those first few days in the hospital, my husband and I relied 100% on the girls’ medical bracelets. We didn’t know then well enough to recognize which baby was Madeline and which was Emily. But once we were all home from the hospital we realized we didn’t need those bracelets anymore. We knew Emily by the shape of her mouth and by her little round face. We could see Madeline’s unique eye shape. We even noticed the unique sound of their newborn baby cries. They may look similar, but they are as different as black-and-white. People always ask me how I tell them apart. To be honest, when they are standing at a distance and wearing the same clothes, I sometimes don’t know which is which. They usually have different shoes on or a different colored hair clip, so that’s what I tell people I look for. For the most part though, I just know. 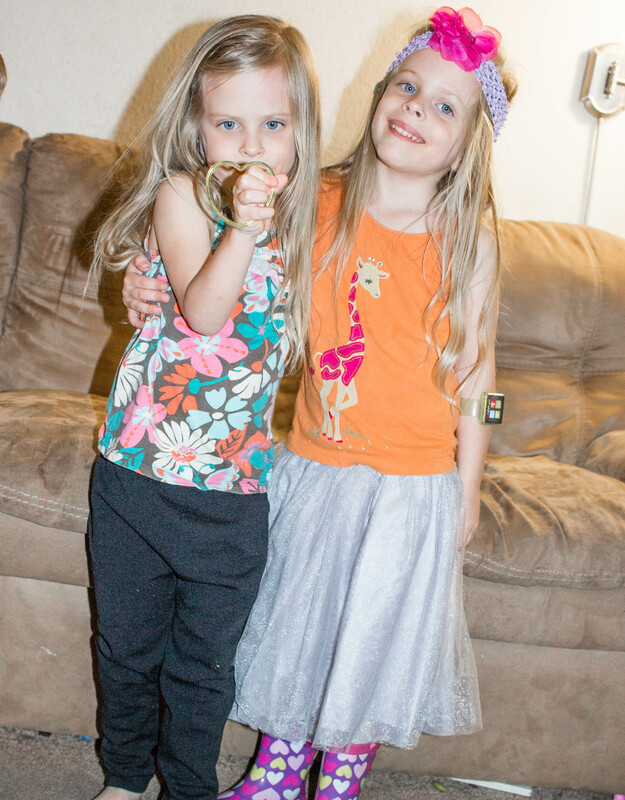 They had to be princesses for Halloween. 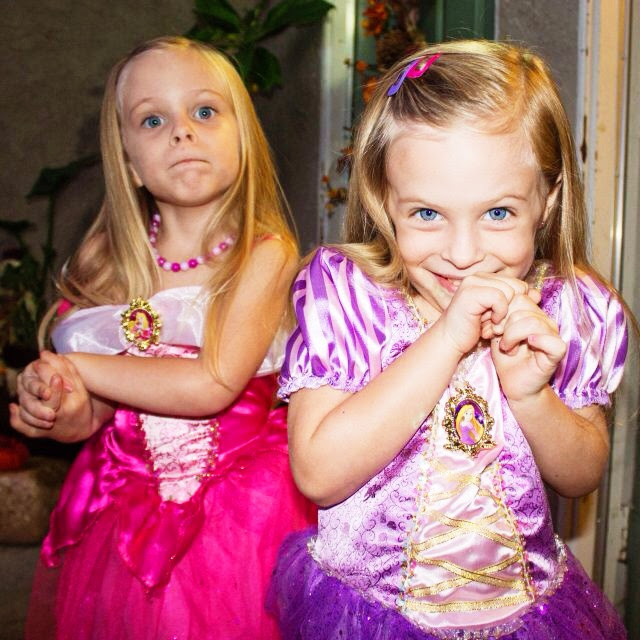 They love pink and purple, so we went with toddler costumes for Aurora and Repunzel. Madeline is outgoing and has a strong competitive streak but she is the more affectionate of the two. Emily loves stuffed animals and singing songs. They are both so different in so many ways on the inside. 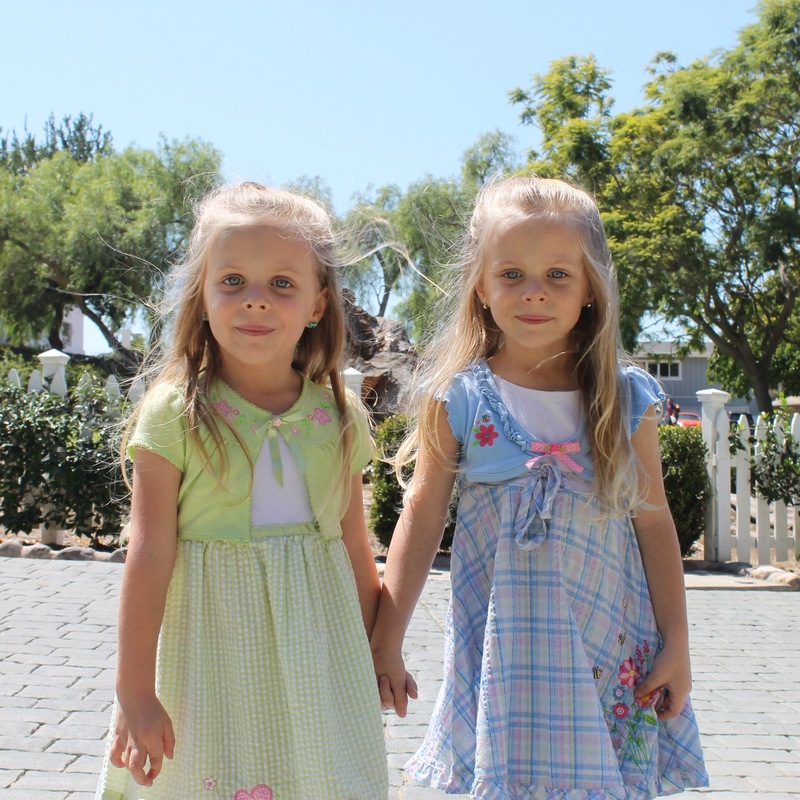 Being able to tell the twins apart was such a big deal to me before they were born. But now? 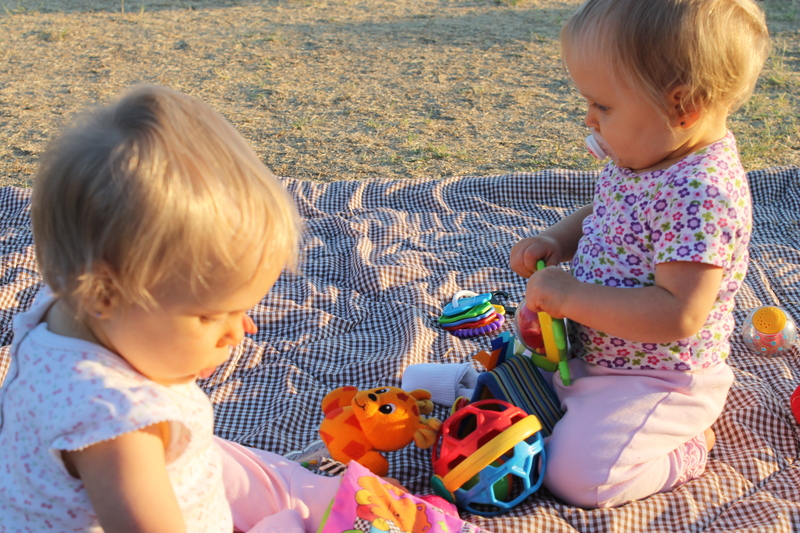 It’s pretty much the easiest thing about being a parent of twins – much easier than keeping track of their toys or whose turn it is to do something. With all children, it is so fun to see them grow into their own little person. It’s possibly more exciting to watch twins’ personalities evolve from two such similar-looking people. When I was expecting twins, I never would have imagined they’d be so unique! Madeline and Emily are deeply devoted to each other. I can’t imagine the type of bond that forms when you’ve spent nine months in the womb with your sister. But I can see how it’s playing out in the lives of my twins.